Born in Moscow on June 20, 1937. 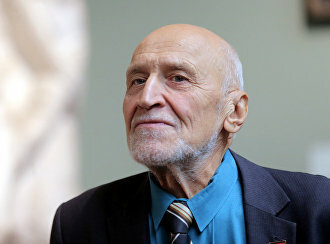 Doctor of Biological Sciences, Candidate of Geographical Sciences, Professor of Moscow State University, a public figure and a member of the Russian Geographical Society’s Media Council. Since 1968, he has participated in The World of Animals popular TV show, first as a contributor, and since 1977 as a host and a writer. In 1995, The World of Animals received the TEFI award as the best educational program. In 1996, he was elected a member of the Russian Television Academy. Drozdov has written dozens of books and two hundred articles. He is one of the UN Secretary-General’s 15 environmental advisors. In 1995, he was elected member of the New York Academy of Sciences.